What Are the Top 5 Latest Outdoor Living Trends - Eby Exteriors, Inc. Outdoor living is hot right now in more ways than one. With improvements in deck and sunroom design, more people are bringing the indoors out and the outdoors in than ever before. This is especially true for residents of Lancaster County, York County, Wyomissing, and Chester County, PA who look forward to getting the most out of the beautiful fall, spring, and summer months. Here are five of the top latest outdoor living trends to boost the value of your home and allow you to truly enjoy all that your property has to offer. Composite decks are all the rage these days, and for good reason. In addition to lasting for decades with little to no maintenance, composite decks also look great, come in a variety of color options, and can be easily outfitted with all of the modern amenities. While skilled home improvement contractors like Eby Exteriors can create the composite deck of your dreams, home automation pros can fully automate your outdoor space with outdoor lighting, LED TVs, and stereo systems that can be conveniently controlled from your smartphone. 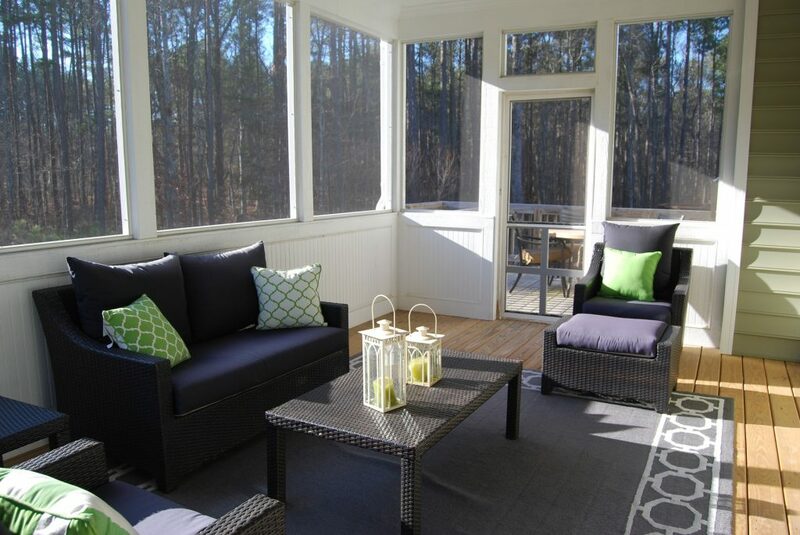 When sunrooms first started appearing on the exterior of homes in the 1950s and 60s, they were little more than outdoor patios with basic concrete floors surrounded by screen to keep the bugs out. However, these once simple and utilitarian spaces have transformed over the years to become comfortable, cozy, and inviting extensions of interior spaces. From chandeliers and heated Travertine floors to ceiling fans, outdoor fireplaces, and entertainment centers, today’s sunrooms provide homeowners throughout Pennsylvania and the rest of the country with the ultimate entertainment and relaxation spaces. If you truly want to bring the inside out and expand your home’s livable space, a custom sunroom from an experienced sunroom contractor is the way to go! Cooking outdoors once entailed a bag of charcoal and a basic grill. Today, however, we’ve taken backyard cooking to an entirely new level. Rather than burgers, hot dogs, and steaks, modern outdoor kitchens are equipped to cook pizza, whole chickens, smoked meats, and so much more. With fully appointed outdoor kitchens featuring pizza ovens, smokers, rotisseries, refrigerators, ice bins, integrated trash bins, and cabinetry, there’s no limit to the culinary creations you can whip up while enjoying the great outdoors. 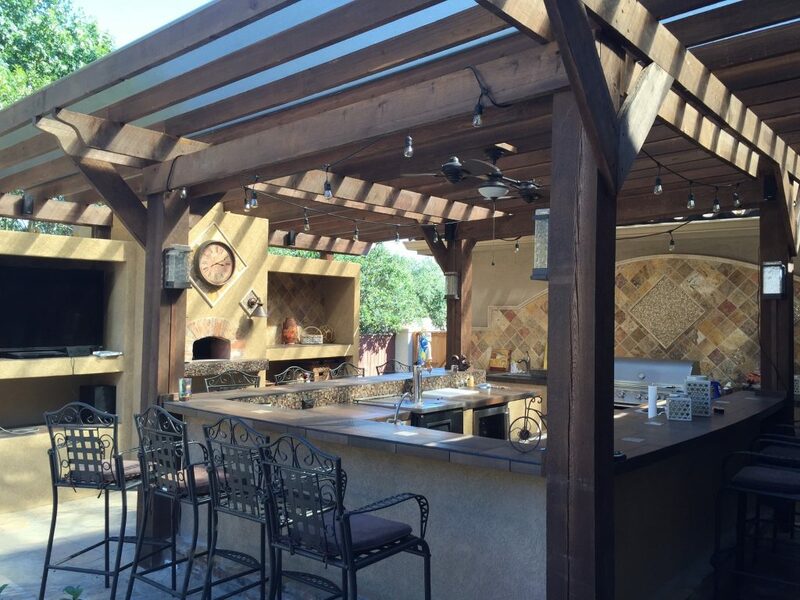 Experienced home improvement contractors, such as Eby Exteriors, can help design and create an outdoor kitchen that will give your indoor kitchen a run for its money. 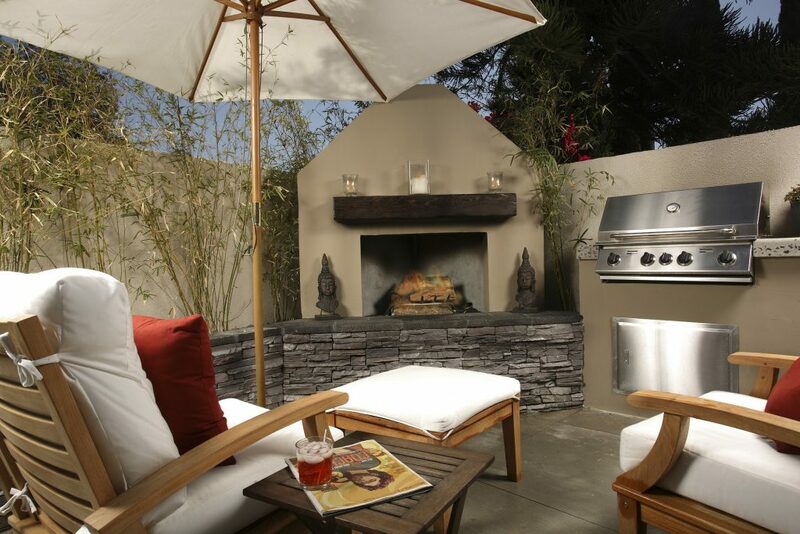 An equally popular outdoor living trend is the addition of freestanding outdoor fireplaces, fire pits, or a chimenea. Whether poolside or as sunroom focal points, more and more homeowners are livening up their landscaping with functional yet fantastic looking outdoor fire features. From low-profile European fireplaces to large stone fireplaces with a distinctly American look and feel, there are several inspiring outdoor fireplace design ideas to choose from. Regardless of the look you go for, an outdoor fireplace will not only enhance the ambiance of your outdoor space, but it will also provide light, heat, and allow you to enjoy your deck or sunroom day and night anytime of the year. 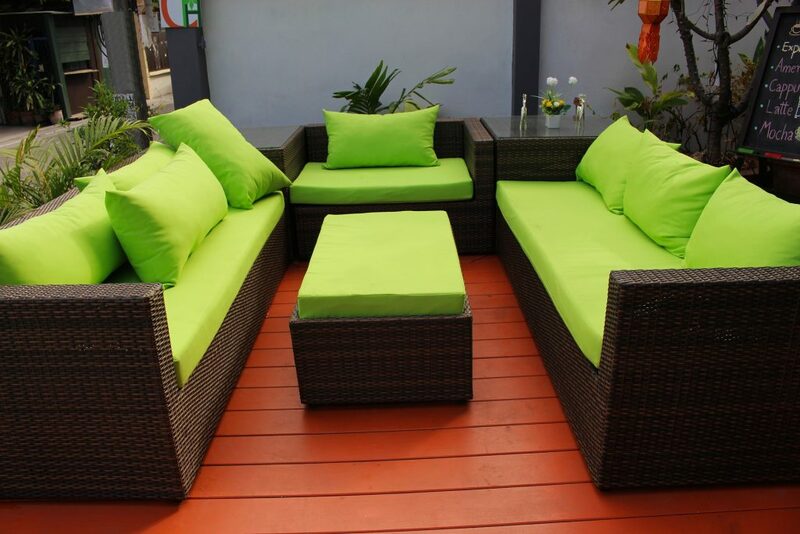 Of course, it will serve as a natural gathering spot for s’mores, conversation, and outdoor fun as well! Outdoor lighting can provide a huge impact with minimal investment, and one of the hottest outdoor lighting trends is the use of LEDs. With today’s wide variety of LED lighting options, you can create any number of appealing outdoor lighting fixtures and give your outdoor space a unique ambiance you’ll want to enjoy every evening all summer long. From Japanese lanterns to one-of-a-kind chandeliers, there are literally hundreds of outdoor LED lighting options for your family and friends to enjoy. 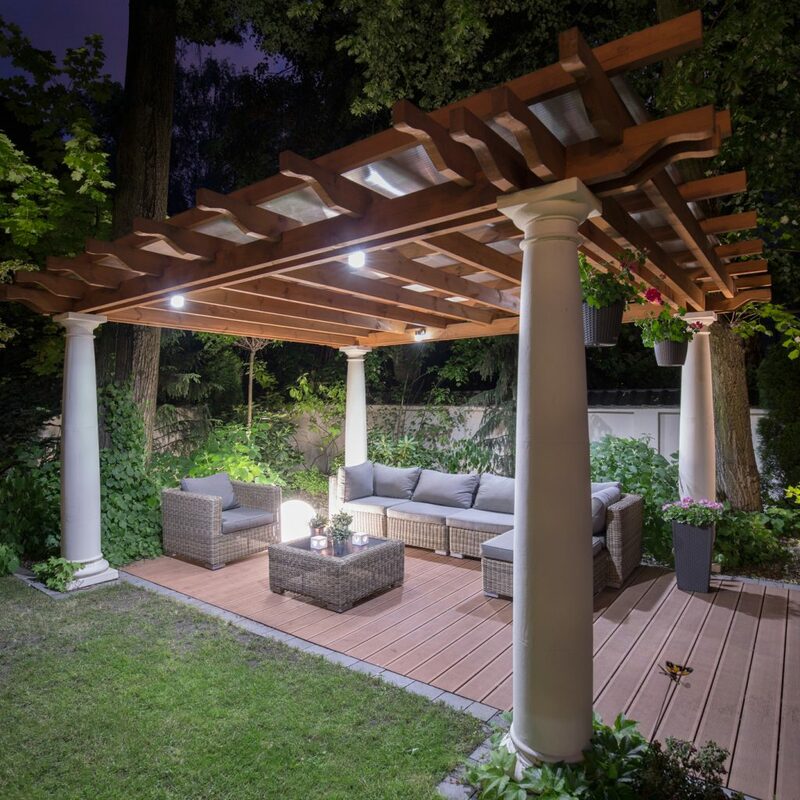 With so many options, why not explore outdoor LED lighting ideas and enjoy your deck when the sun goes down as well? At Eby Exteriors, we stay up-to-date on all of the hottest outdoor living trends. Combined with our years of experience serving the home exterior needs of households, we can transform your dreams of outdoor living into an inviting and breathtaking reality you’ll enjoy for decades to come!